It’s time for you to upgrade your printer and you’re unsure what kind of printer to get. The best thing to do is to figure out how much printing you’re doing so that you can figure out what type of printer you need. If you’re doing quite a lot of printing then the Xerox Versalink B605/S might be the printer for you. A great feature that will make business function easier is the Ethernet connectivity option. It allows you to scan to email and networked computers. This way you do not have to scan it and then go to your computer and send it where it needs to be sent, you can send it straight from the machine. Xerox is all about making your daily tasks easier. 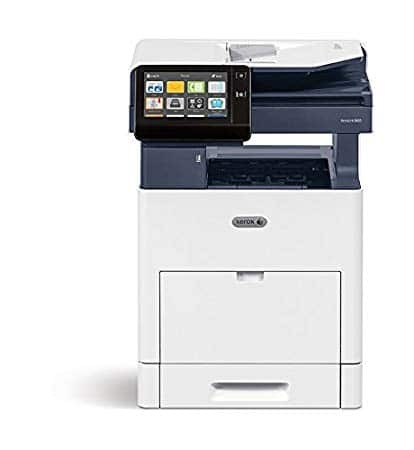 You can also use the integrated copier to reproduce documents and take advantage of the darkness control, automatic background suppression and sharpness adjustment feature to improve document quality before printing. Doing this will help you reduce paper because you don’t have to worry about those bad copies coming through that you can’t use. You can just automatically adjust it from the printer. If you’re ready we can help you find the copier that is right for you if this Xerox model isn’t the one you prefer. Call us today!